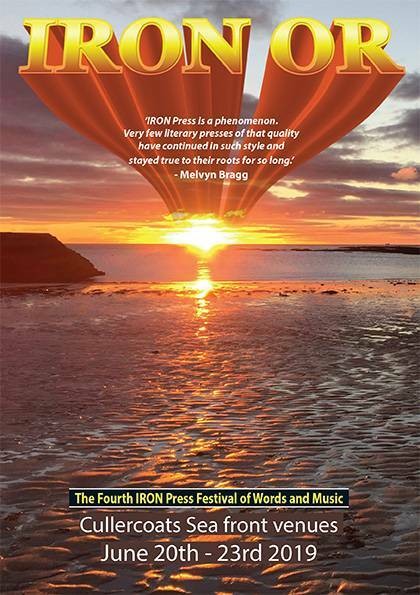 IRON OR, the fourth IRON Press Festival of Words and Music, runs from June 20th - 23rd. Tickets are on sale through Ticketsource online and via the phone from April 1st. As usual, the festival's full of fantastic stuff, so click on the link and find to just what's on offer. Tickets can be bought over the counter at Cullercoats Coffee from May 1st or possibly earlier if the demand is great. Watch this space. or ring on 0191 253 1901.